This is a sponsored post written by me for RoosterFin. All opinions are mine alone. We recently got into the habit of enjoying a family game night a few times per month. It’s a fun tradition that the whole family enjoys. 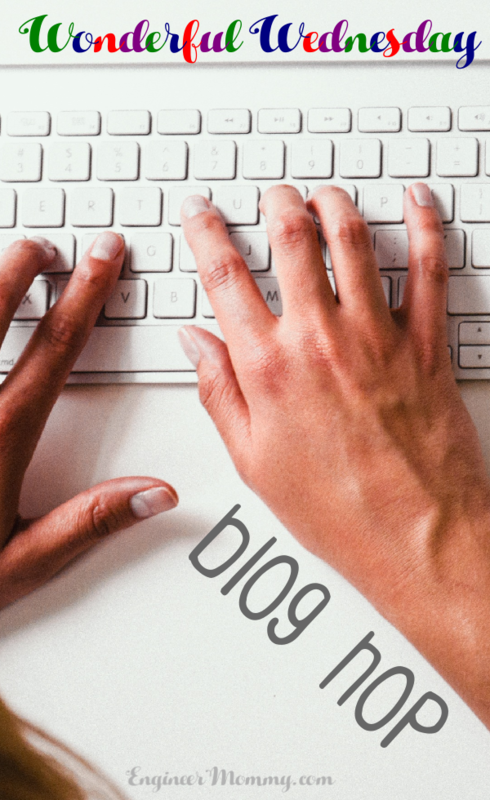 Today I’ll be sharing some essentials that keep our game nights running smoothly. From finding the perfect snacks/drinks to playing the right games, check out my best tips below. No game night is complete without plenty of delicious snacks and refreshing drinks. We like to have plenty of flavored iced teas and lemonades as our beverages of choice. For a tasty snack, we like to set out a wide variety of crunchy & savory options: popcorn, pretzels, chips, nuts, etc. The kids sometimes like to make their own trail mix for movie night; this includes a variety of items, such as nuts, dried fruits, mini marshmallows, and more. When it comes to play time with kids, I always try to incorporate some lessons/education into the mix. That’s why I try to choose games that make it easy & fun to learn a thing or two. 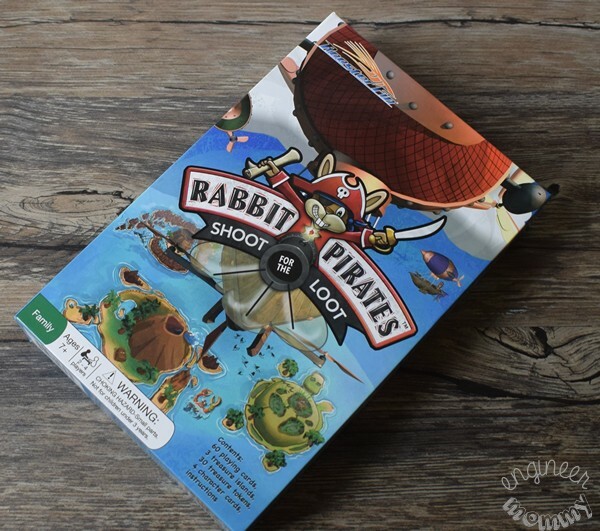 We recently checked out Rabbit Pirates from #RoosterFinGames, which is a fun board game for 2-4 players. In this game, the pirates are searching for some buried treasure. It’s a fun, easy-to-understand game for people of all ages: from young kids to grandparents. The goal of the game is to earn the most bronze, silver & gold Treasure Tokens. The game requires both logic and strategy to win. The game set comes with 60 playing cards, 3 treasure islands, 30 treasure tokens, 4 character cards and instructions. Each player starts by drawing 3 cards from the draw pile. Cards are loaded under each island and then the cards are flipped one at a time to reveal their shot value. 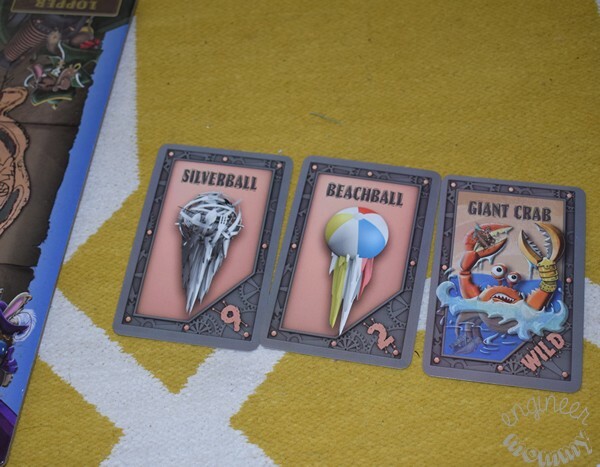 The person who has the highest numbered card at each island wins the top Treasure Token from that island stack. I really love that this game encourages kids to practice their math skills in a fun way. 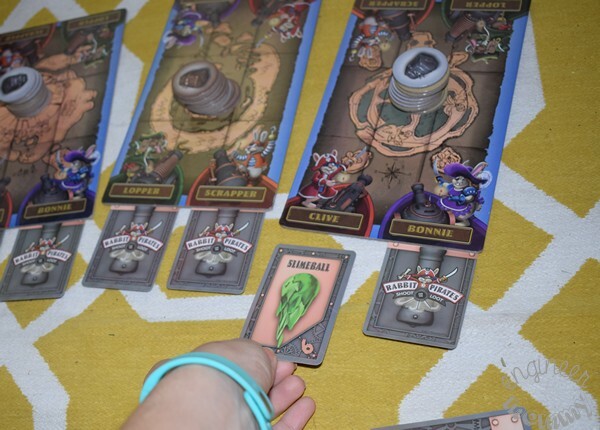 In Rabbit Pirates, players must add the points on the individual cards to determine the total number of points earned. This is #FamilyFun at its best! My daughter, Sophia, is honing their addition skills at skill, but playing this game at home makes it fun for her to get those number skills fine-tuned. Plus, who doesn’t like pirates & buried treasure? 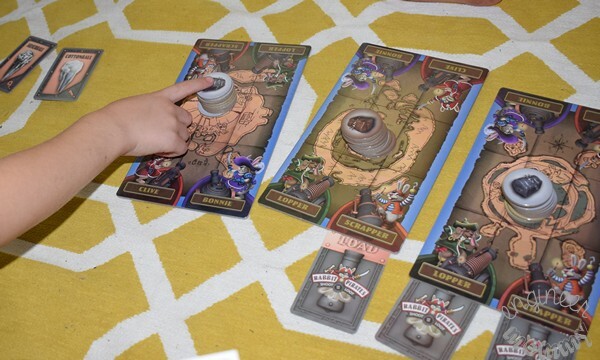 The very concept & theme of the game makes this one super fun for the kids! RoosterFin was founded by Joe, a former teacher who wanted to create fun games that made math fun. Since inception, RoosterFin has developed award-winning games that are both educational and engaging. To keep up with the latest news & offers from the company, check them out on Facebook here. One way to make game night even more fun is to play some fun music in the background. I like to play upbeat music that boosts everyone’s mood! It’s an easy way to make game night feel even more festive. We often have our game nights in the dining room but when the weather is warmer, we sometimes go outside and play our games on the patio. That’s a fun way to mix things up! In fact, the kids love spending all day outdoors, playing on the swing set, exploring the back yard and even eating meals out there. Bringing game night outdoors is always a fun experience for everyone. When it comes to playing games with young kids, having the right attitude is essential. For instance, patience is important because the kids will sometimes take their time with their turns or they will need multiple bathroom breaks. Another important element of family game night is good sportsmanship. I always try to use game nights as an opportunity to teach my kids that winning is not necessarily the goal. The goal is to have fun (and be nice to the other players) above all else. 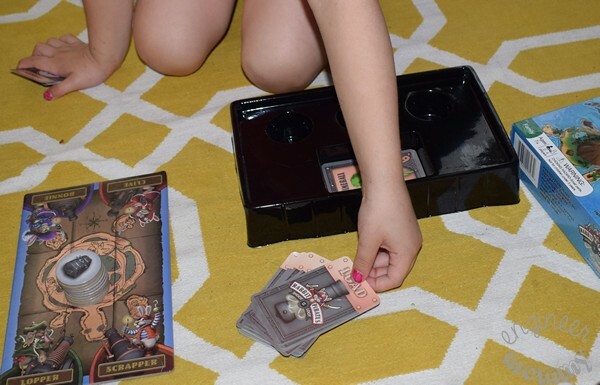 Do you do Family Game Night with the kids? What are your favorite games currently? We do game night every week! 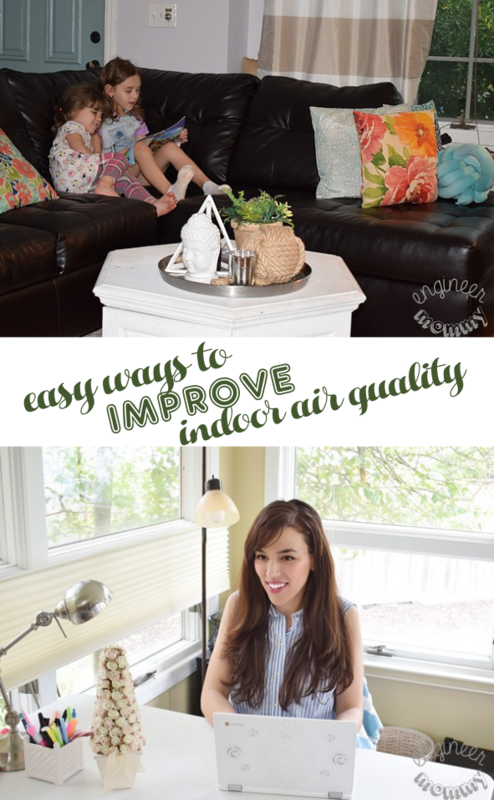 Great tips here. I think this is a wonderful list. My daughters love it when we do family game night. We have a ton of games to choose from. I’m always picking up new ones.